Very pretty ladies! I asked the s/o if he wanted a xmas tree and said NO. He doesn't want to pay for electricty, no room to store the tree, and a waste of money. I guess no xmas tree here. Is his name Ebenezer Scrooge?? In conclusion I guess he didn't care cause it wasn't a tradition in his family to celebrate it. I will definitely change that next year. Supplies for your parties and events. 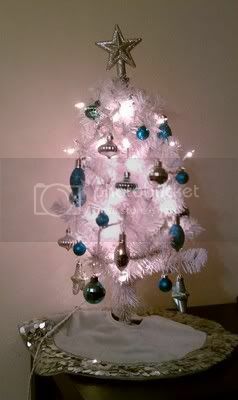 DC, tell him that you don't need to put all the lights and stuff on the tree if electricity is going to be an issue. If space is an issue, get a small one like asdfghjkl. Nope, the front door is never used. 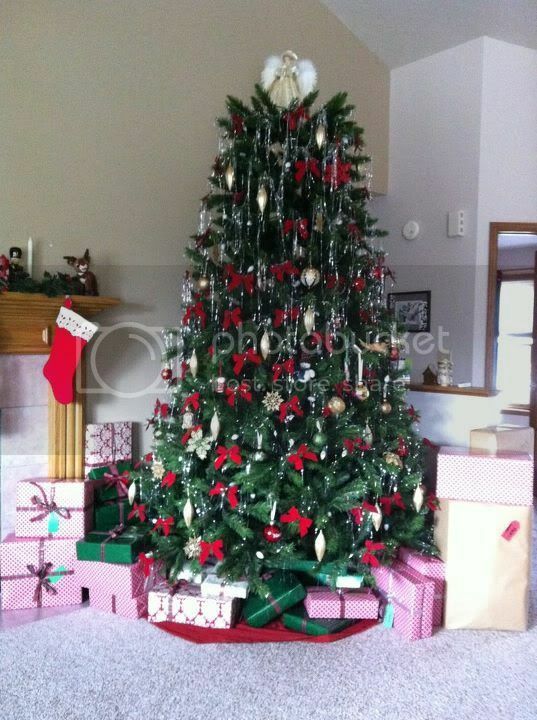 SueSparkle, that's a gorgeous tree! I like the gold stuff hanging down. I never have the patience to do that. Those little stringys are a PITA to clean up afterwards. So are all the pine needles from a real tree.